If you want a place to see in a few days with a mix of relax, adventure, party and culture just pack your things and head to Malta. 5 days in Malta made me discover a small island full of surprises and great landscapes. We went to visit a friend who is currently living there due to work reasons and who always told us about the beauties of the island but we never found the time to go and spend time with her -until this summer. 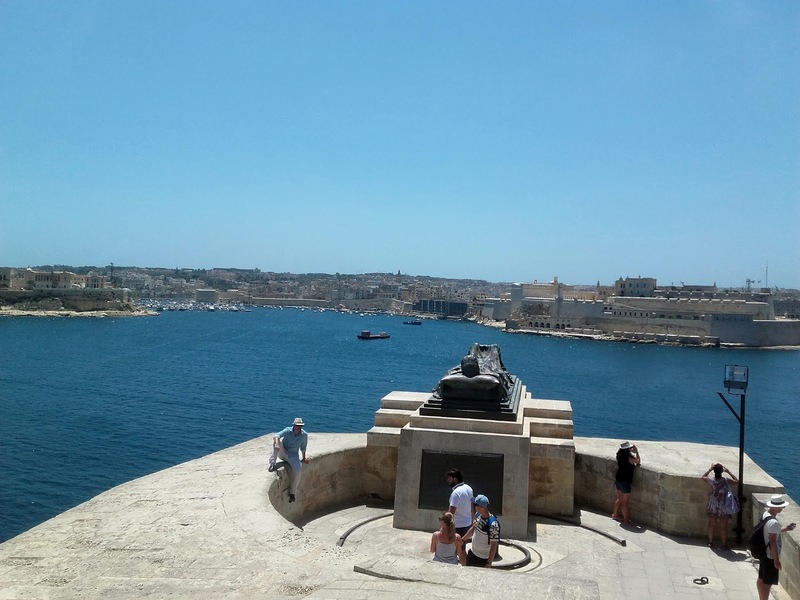 For once we could agree on a date to visit A, and truth be told we really didn't know anything besides Malta's beaches and English-learning promos by agencies. Expecting nothing but beach and rocks, we got to find that Malta is indeed a lively place where people celebrate their city festivities at their fullest. Our first night was in Mosta and we were really tired so we just went for a walk and a drink at a local bar. 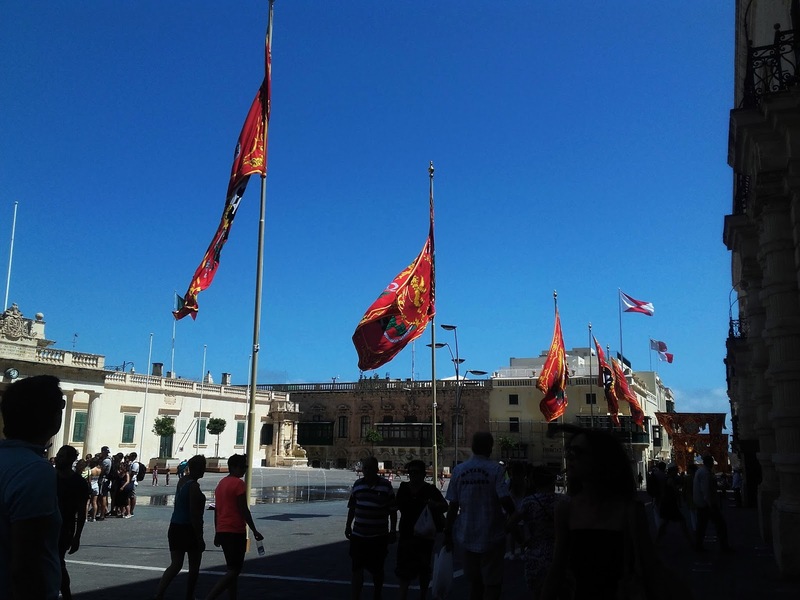 Next morning we went to the capital, Valletta and died a little thanks to the sun, but could see the center of the city, their performances on the street, monuments, sea, and had lunch there. Afterwards we headed to Rabat and Mdina, but of course bad luck was there to stay too so we found ourselves at the doors of the catacombs finding out that we missed the last entrance by just some minutes. yay. 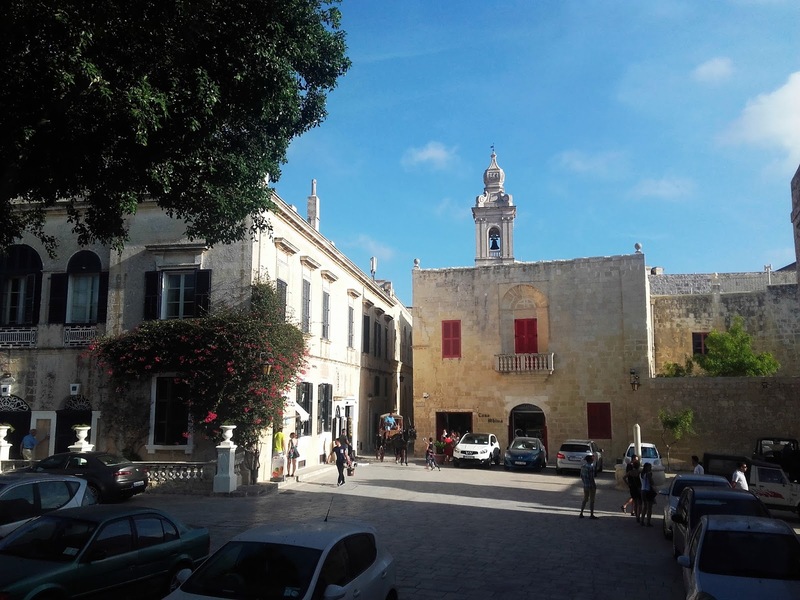 We went to Mdina, a fortress that has preserved its beauty within the place, and in spite of the strong wind trying to take off our hats, sunglasses and everything we carried, we enjoyed the little place. 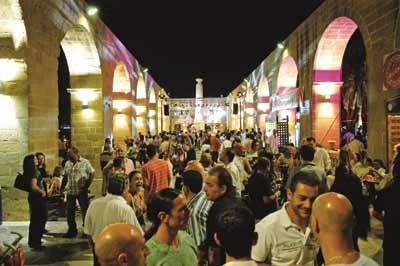 Later at night we went to Valletta again to attend a Wine festival where you could pay 14€ and try as many wines as you wanted. The event was not just about drinking but it had many concerts in some wonderful gardens with a stunning view of the city. On Sunday we visited Marsaxlokk and St. Peter's Pool. Mmarsaxlokk is a beautiful fisher's village where you can see the authentic essence of Malta, with colorful painted fishing boats and the market by the sea. A short ride away there is St. Peter's Pool, a natural swimming pool ideal for snorkelling and people who enjoy jumping from the rocks (not me, I was sleeping and getting a tan all the way). That afternoon we went to see the Dingli Cliffs, which are breathtaking once you stand alone at those rocks in front of the big sea. Monday was spent to discover the island of Comino. We took a boat to get there and to our disappointment, found out that Blue Lagoon has become reaaaally famous: there was no place to sit at the beach and most people where lying on the rocks, which were not even near the beach! Nevertheless it is really worthy, since you get to enjoy the crystal waters of that place and you really appreciate getting into the water when temperatures are that hot. On Tuesday we took a ferry to visit Gozo island, which is bigger and thus has more to offer. But timing was a bit of a deal since we didn't have all day. We took the touristic bus to go directly to the nice spots, such as the red sandy beach, the UNESCO site temples, Azzure Window... It was great but we really felt like dead once we were home. For those of you who seek adventure you have plenty of options regarding sea sports, and for the ones looking for relax you can lie on sandy beaches and soak up the sun for hours. If you opt for culture just think that they have countless monuments and old architecture, and every city has history to offer. What are you waiting for?